Wait & See is a fully automated Expert Advisor. No manual trading is suggested. 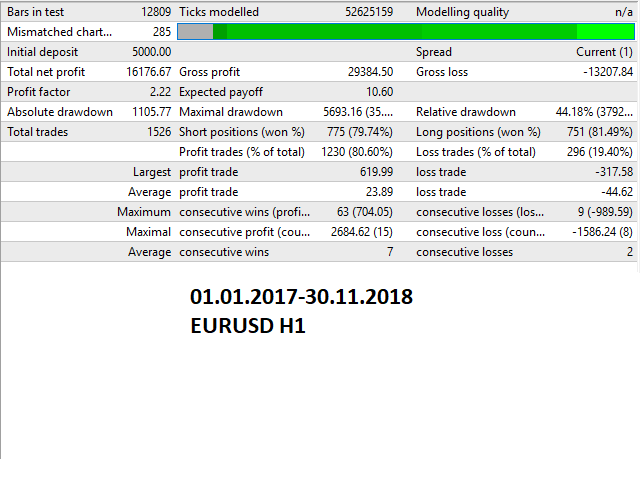 All screenshots belong to backtests with EURUSD H1 timeframe. WARNING: Wait & See uses 1,2,3,4 and 5 as magic numbers. If you are using other Expert Advisors to send orders at the same time with Wait & See, do not use these preserved magic numbers for other orders. 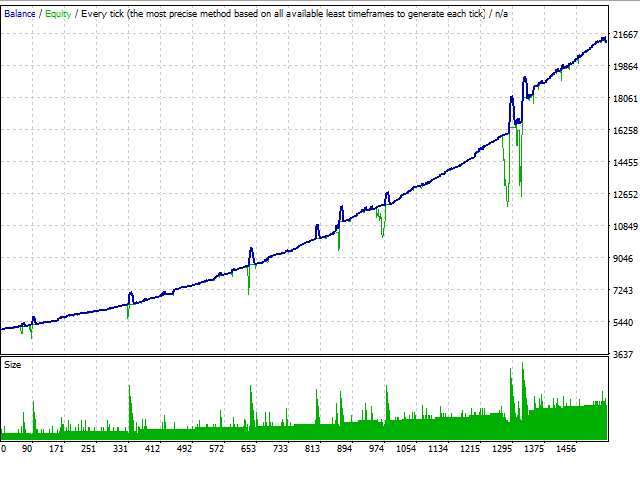 Wait & See is based on three main steps: Open a new order, martingale if needed and take profit. Open new order: Wait & See uses the MACD,RSI,Ichimoku,SMA and Stochastic Oscilator to open the first order. Martingale: After opening a new position, if the trend goes the opposite direction, the Wait & See begins opening new positions with the same direction of the first order. The Stop Loss parameter defines the grid limits, and the predefined value is suggested. Take Profit: Wait & See closes all orders if the predefined profit is reached. The TakeProfit parameter defines the profit amount to close orders, and the predefined value is suggested. EA Settings: Use the default parameters. Timeframe: H1 is suggested but also the other timeframes with low spreads can be chosen. Lots - Initial volume to open positions. MaximumRisk - Defines the maximum risk that user can have if the auto lot is true. Autolot - Enables to optimizing the lotsize. MaximumSpread - Limits to open new positions with high spread symbols. MaximumLevel - The maximum number of the positions to limit the loses. TakeProfit - Take profit value for each order set. Stop Loss - To open a new martingale position, this parameter defines the separation between positions when the trend goes opposite.